Are you recently married like William and Kate? Prince William and Kate recently got married. 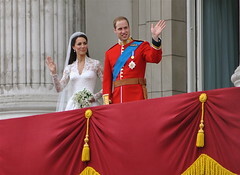 The royal and regal wedding was broadcastt o millions around the world. “What advice would you give the royal newly weds as they start their marriage,” was what Colour radio presenter Rosemary Laryea asked me? Listen to the tips I gave for newly weds. These marriage tips will help your love to last. They will prevent divorce and help you avoid marriage problems. Most people put more energy and effort in planning their wedding than their marriage. They spend many hours (and thousands of dollars) selecting the right dress, colour scheme, décor, reception and speeches. But little of no time on how they are going spend the rest of their lives together. BIG mistake! In fact someone rightly said that many people spend more time planning their holidays than their marriage. In 5 years time where would you want to be as a couple? Do you plan to have children? If so when? Who are going to responsible for the various chores in the house (these will not automatically get done by themselves, believe it or not)? Are you both going to chip in or will you hire help? Who will plan and execute the holidays? I know this is a long stretch but what about retirement – where will you retire and what plans do you have for retirement? What Kind of habits should newly weds develop? Let me quickly say that when we are in the first flush of romance we tend to do things that will excite the other person naturally and easily. We want to impress them and win their affection. No problem here. The problem is that when we finally win their hearts and secure the deal with marriage these things may feel like work or even chores. As funny as it would seem people actually stop doing these things. In fact lots of men have told me that after getting married their wives have changed. I am sure women feel the same way too. One of my favourite writers says that we should continue the little courtesies that we had when we first fell in love. People who are in love cannot imagine that these lovely acts and display of love and affection will ever stop. They do, they actually do. The best way to avoid love problems and the death of the relationship is to make a habit of doing things that will make your spouse happy whether you feel like it or not. Think of it like trying to get fit. It is not very easy to get up and out on cold winter mornings however if you are in the habit of getting up you will find your body will do it purely our of habit. Make if a habit of kissing in the morning before parting and when you get back home. Make it a habit of going on a date once a week. Make it habit of complimenting/praising your spouse every day. Make it habit of doing something that would bring a smile to your spouse every day. If you do these things will become automatic and your love will last forever. Did you know that marriage goes through several predictable stages? It sure does. If you are not aware of these stages you may have more problems and issues than you bargained for. Sometimes it would seem hopeless and you will want to bail out but if you are aware of the stages of marriage you will be able to navigate the rough patches. What are stages of marriage? This is the stage where the lovers bask in their new found matrimony. Everything is lovey-dovey. You are fully in love and you just cannot ever imagine you could ever be out of love with your spouse. You are convinced that you will live happily ever after. This stage last for about 1-2 years or even up to 3 years in some instance. This is when the romanticism begins to where off an reality begin to set in. You begin to see flaws and faults in your partner that you ever never saw before or never imagined existed. They do little things that irritate you. Life sets in again. The daily grind of life shows up again – Going to work, taking the garbage, waking up with someone who doesn’t have their make on or who stinky breath. You begin to get what I call “marriage remorse”. You wonder if you made a mistake in choosing to marry this person. This stage can take up to 2-3 years to start. How do you recognise that you are in the struggle stage of your relationship? You will know because their will be lots of arguments, silent wars, defensiveness and even fights. As funny as this may sound some people swing from passionate love making on some days to verbal/physical fights on other days. This is usually an attempt to define boundaries and borders. It is also the point where people define who rules what and how power is exercised in the relationship. This a very dangerous stage, as it make or breaks the relationship. Fights, struggle and arguments cannot go on indefinitely can they? You or your spouse will come to the point where you are either totally exhausted by it all or decide that this is stupid and there must be some sensible way to resolve this. Some people decide that the person of their romantic dreams has become the worst nightmare of their life and they decide to call it quits – they go to see divorce lawyers and another type of struggle begins. Others seek professional help by seeking marriage counselling. Still others seek to resolve amongst themselves. They negotiate and try to meet each others needs. These couple usually attain the last and best stage of marriage – intimacy. If you thing the romantic honey moon stage is good, the intimate stage of marriage is so much better. Here you accept and tolerate you partner entirely. You care and want to make them happy. You have learnt what their hot buttons are and also what make them horribly angry, so you carefully avoid these. Similarly your spouse has come to know and accept you for whom and what you are. They love all of you, warts and all. They realize that is not use of fight and haggle. If they make you joyously happy, you are much more prone to want to make them equally happy. When people reach this stage they usually stay with each other life and enjoy a blissful relationship. Unfortunately very few relationship reaches this vital and important stage. An ombudsman is usually an official person who arbitrates between two parties when they reach an impasse in negotiating. Have you ever come across couples who are so made with each other they flatly refuse talk to or even to see the other person? Well at some point or the other you will have a blow up that will make you feel that you don’t want to see or talk to spouse ever again. This is why you need someone who can talk to either of you and talk sense in both of you. Both of you need to settle on who you would be your marital ombudsman man long before you get to that point. Continue the little courtesies you have for each other. Remember to surprise your spouse with little notes, cards, gifts, dinners and other thoughtful gestures. Surprises are like romantic vitamin shots. It sends a romantic adrenaline rush into the heart of your spouse. They will have very warm and tender feeling about which would insulate the marriage from problems and affairs. Everyone one of us need to feel important and wanted. We also have specific ideas on how other people can show love. There are also things, which when other do them makes us extremely happy. Some of us want other people to verbalize their love for us. Some of us want our spouses to do something to show us that they love us. Some of us love it when our spouses touch, hug, kiss and romance us. Some people just love it when people spend time with us. When you meet and satisfy your spouse’s emotional needs they are very happy and will never consider leaving the relationship. Remember you and your spouse will be evolving and changing – keep up to date with these changes. If you don’t, you will find that you will be living in a house as flat mates. They will become a stranger to him or her. Simply find time everyday to debrief about your day and what has happened. Remember also to share your hopes, dreams, desires and aspiration.